In 2010, Kevin was personally recruited by Tony Robbins to work as his Senior Business Strategist. Kevin’s expertise is strategic business and financial consulting where he has advised thousands of clients across the globe in 62 countries; Start-ups to multinational billion dollar corporations, to members of the Forbes 400. Kevin has also been an invited financial expert on CNN, Bloomberg, FOX and the NASDAQ market site. Keynote speaker on investment finance and business strategy at hedge fund symposiums around the world as well as Tony Robbins events. Kevin tends to bounce around a lot and is either living in Arizona, Guadalajara or Palawan. Hobbies include biking, adventure travel and CSETI. The highlight of his life is being a Papi to his daughter. Congratulations on taking action and confirming your Strategy Session. Take a moment to watch this great video message from Tony recognizing the first step you’ve taken towards Business Mastery. 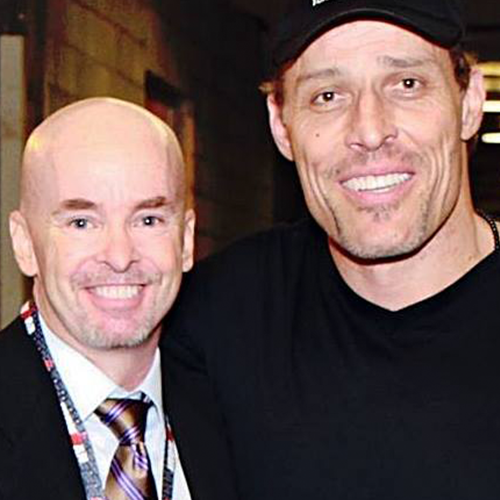 Business Mastery is the only business program in the world created by Tony Robbins to properly prepare you to master the curriculum of skills designed to help you elevate your business. Over five days and nights, Business Mastery will help you understand the critical factors impacting your business right now, then refocus and realign with the business strategy and psychology you need for competing and innovating, in any economy. 1. Come to the call in a PEAK STATE. Come expecting a breakthrough. Come being willing to collaborate and grow with the help of the Strategist. Otherwise, the call will be limited in its ability to support you. 2. Make sure you are in a place with LIMITED DISTRACTIONS. Come expecting a breakthrough. Come being willing to collaborate and grow with the help of the Strategist. Otherwise, the call will be limited in it’s ability to support you. 3. Bring a paper and pen. The average client takes 5-7 pages worth of personalized notes. There is no way you will remember all of the distinctions you make without notes. 4. Make sure you take your DISC assessment. The DISC assessment is a great way to get some clarity around what is personally keeping you blocked. You may also find it valuable to have other members of your team take the assessment so you can get some insights as to how they operate. 5. Make a declaration to take your business to the next level. Look, here is the reality, NO ONE WILL WORK HARDER FOR YOUR BUSINESS THAN YOU WILL. If you aren’t willing to do whatever it takes to make your business a success, how do you think your employees will work? If after attending the first full day of Business Mastery, you do not feel you have received $1 million worth of value to create exponential growth in your business, turn in your manual and materials and we will send you a full refund for the event.